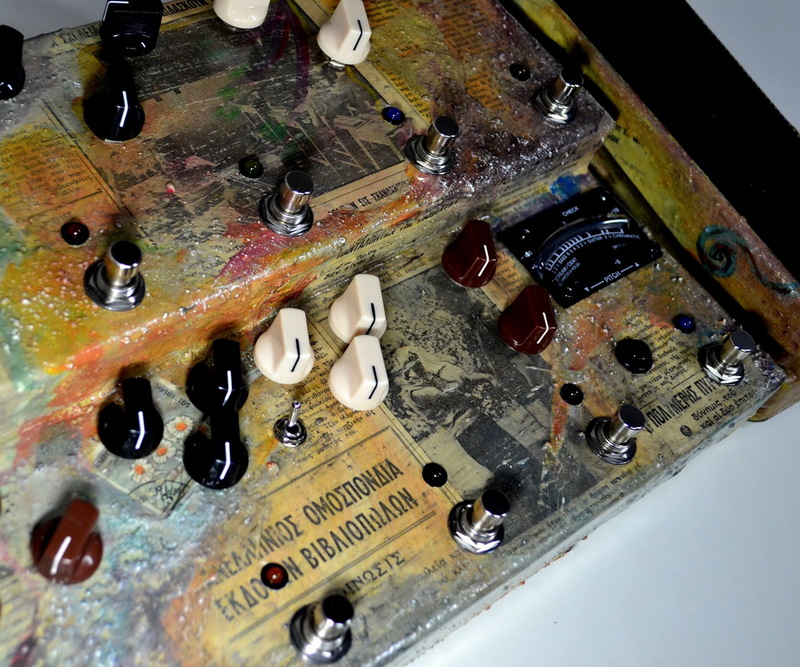 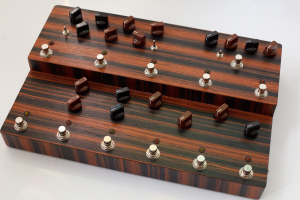 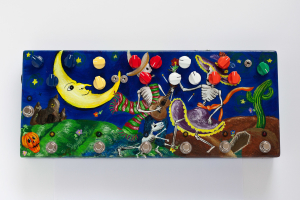 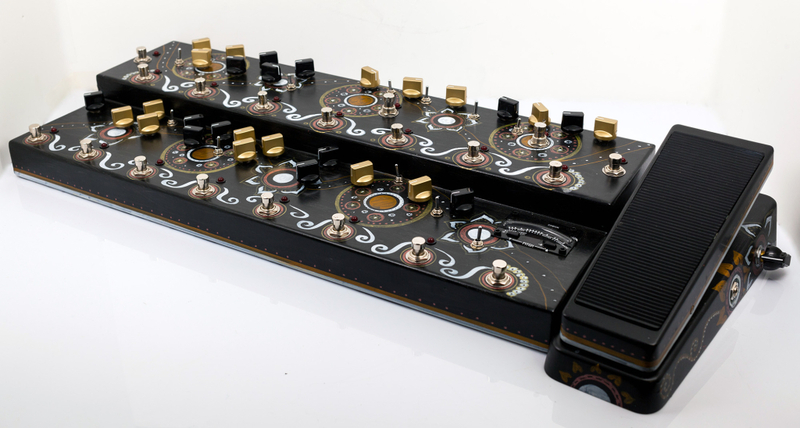 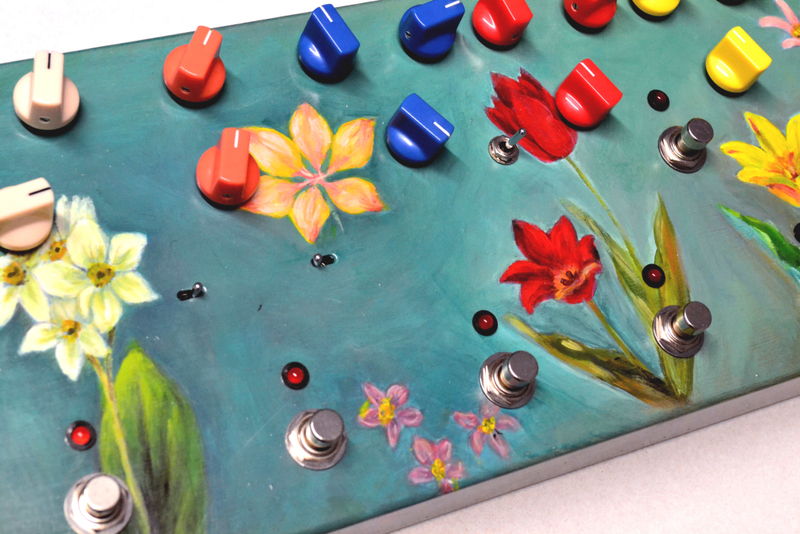 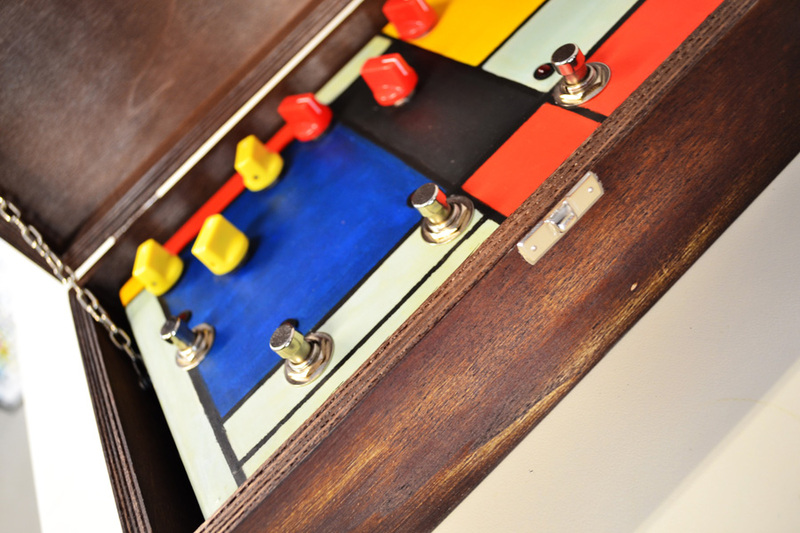 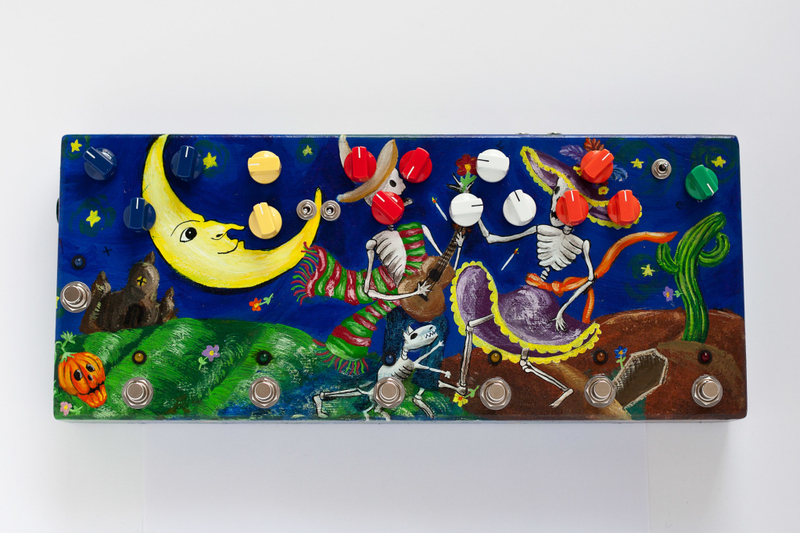 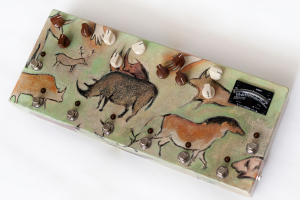 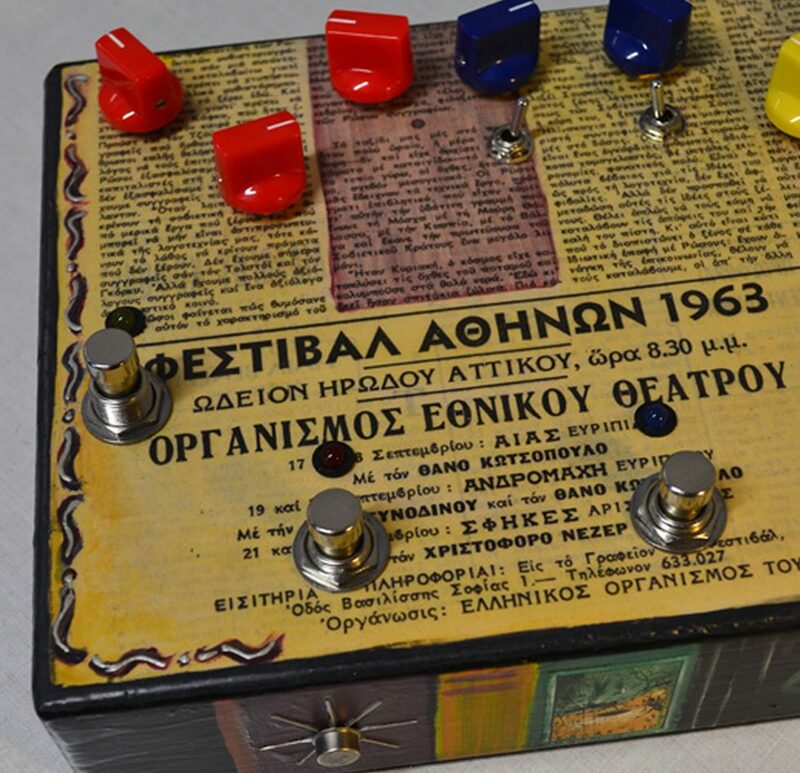 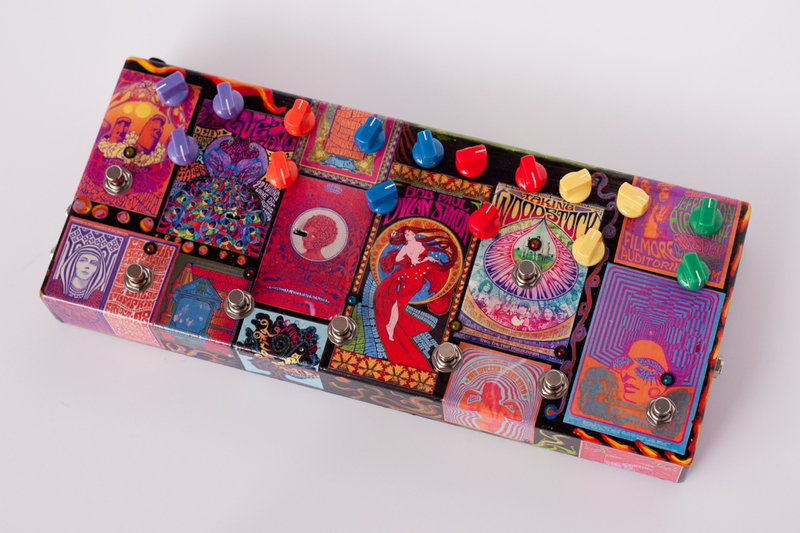 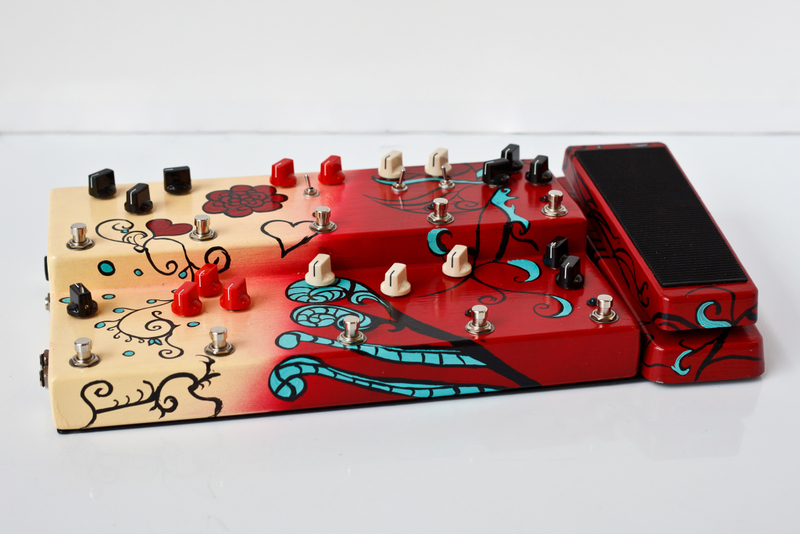 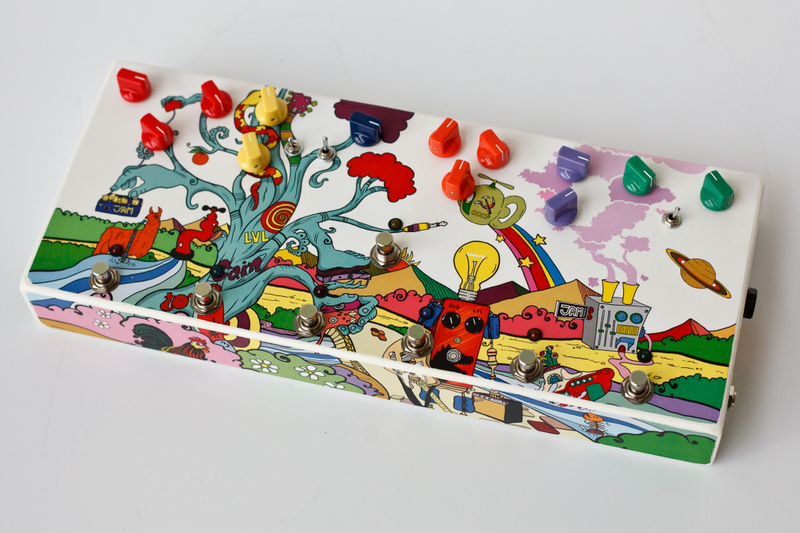 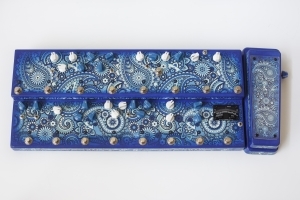 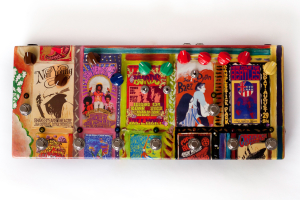 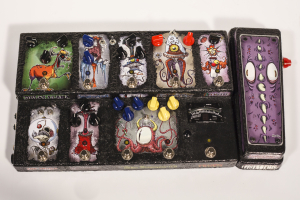 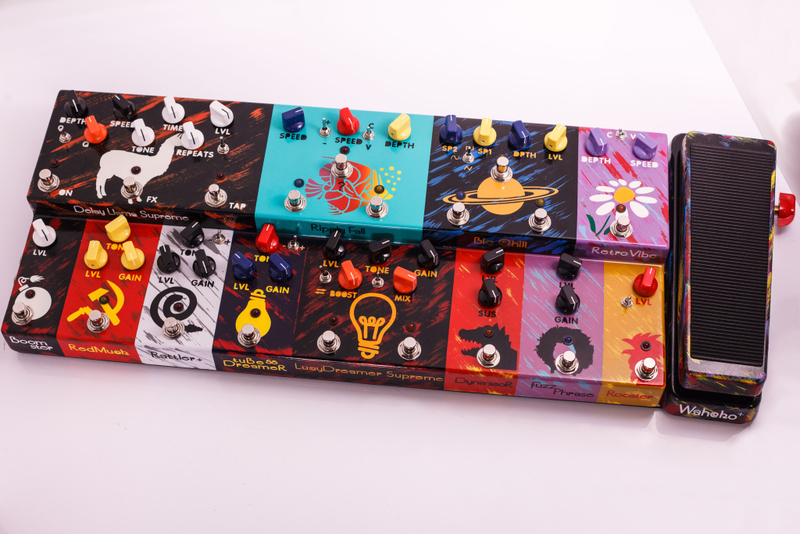 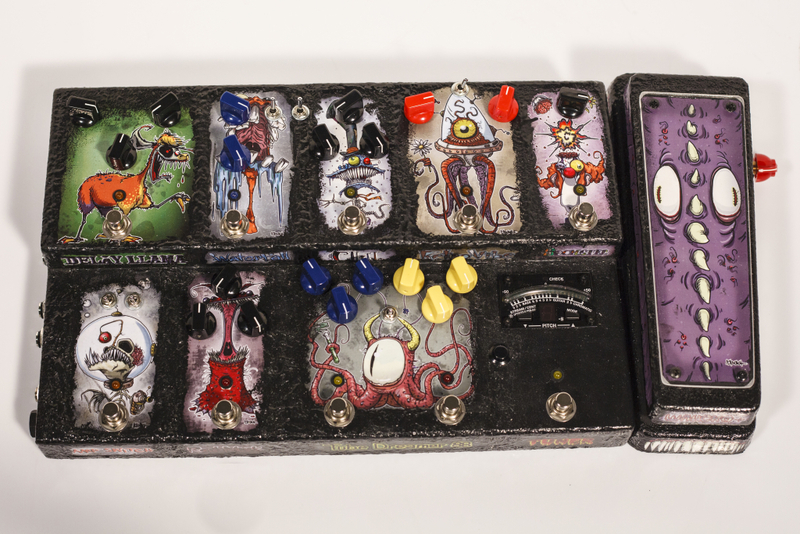 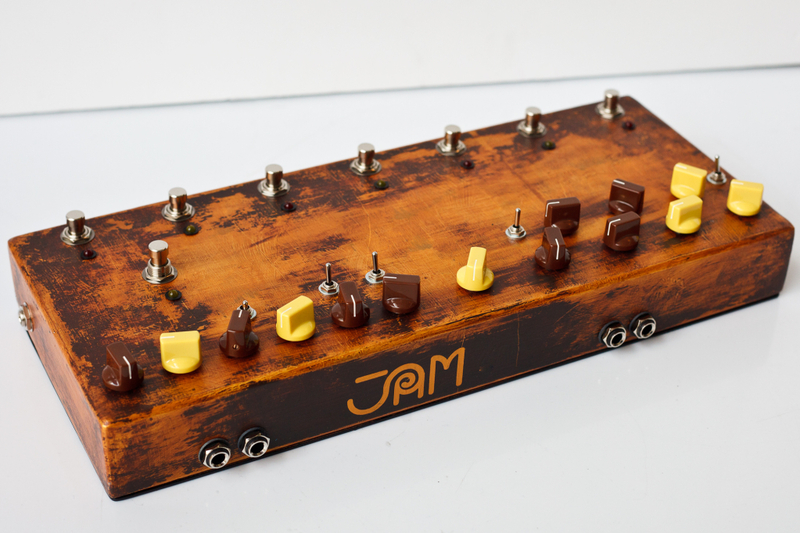 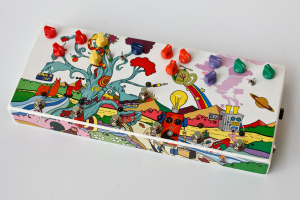 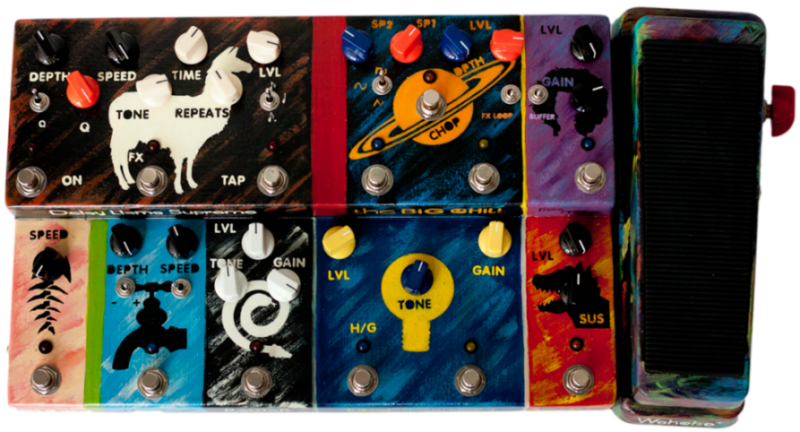 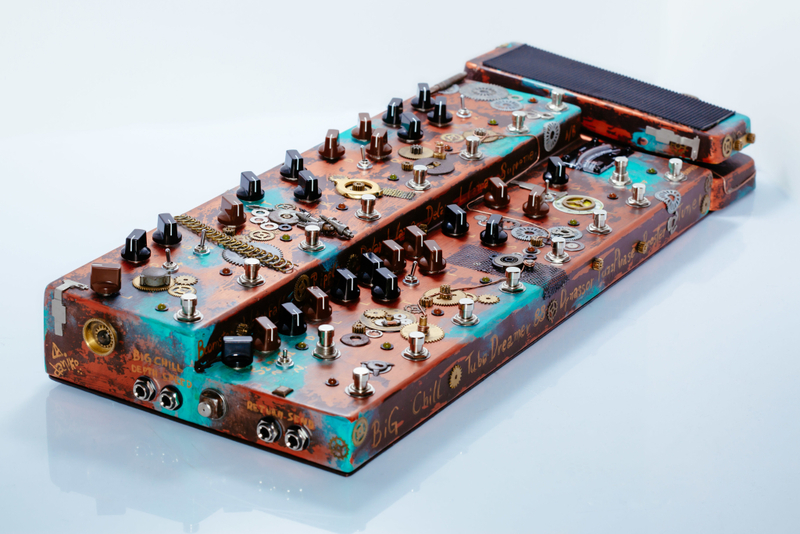 All-analog multi-pedals including any number of our pedals, in one very light and compact enclosure that is hand-built and hand-painted per custom order. 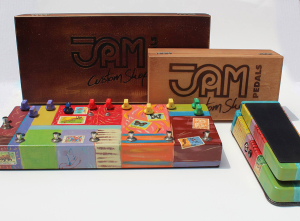 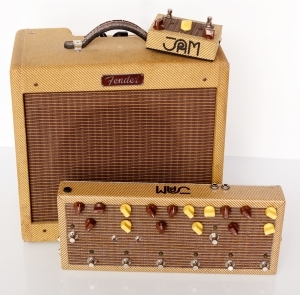 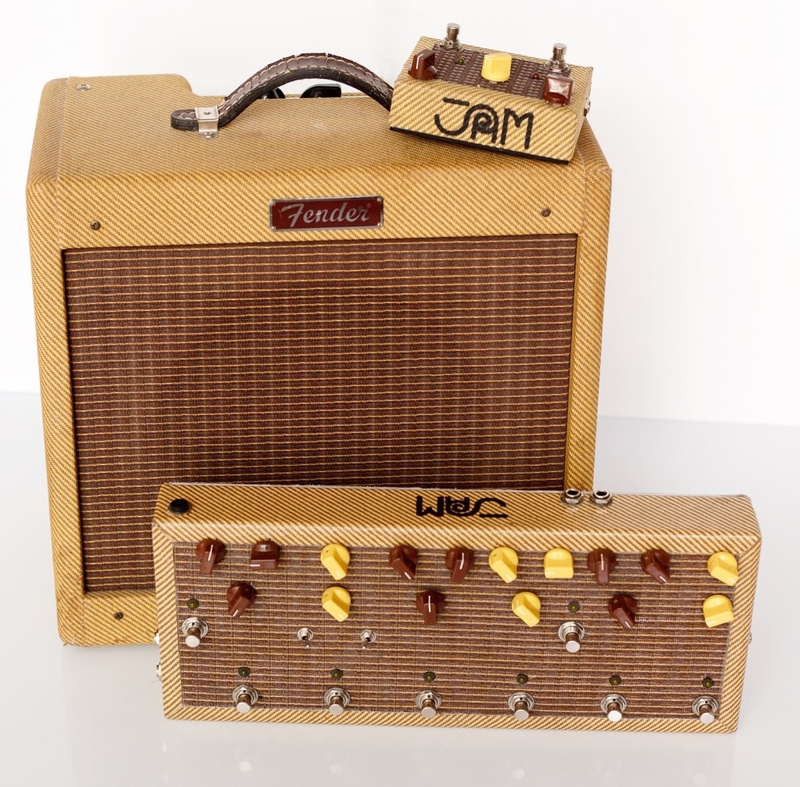 They only require a single 9V power supply to work, and feature an A/B output that can be used to send your guitar to two different amps, or use the second output as a tuner-out to keep your tuner off of your signal chain. 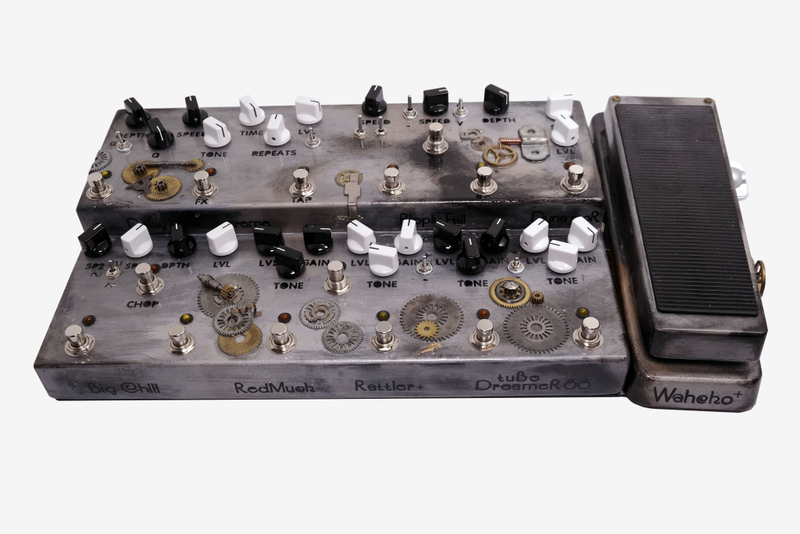 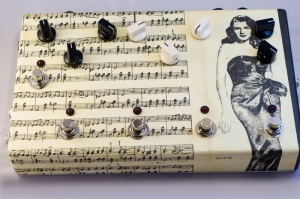 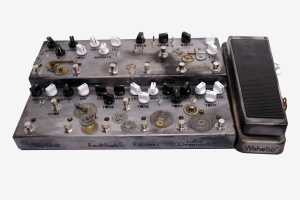 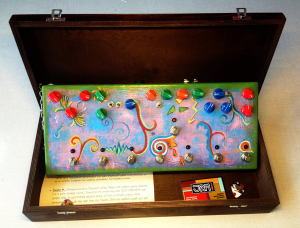 Furthermore our multi-pedals can come with a built-in Boss TU-3 tuner and / or a TC Electronic Ditto Looper (mini). 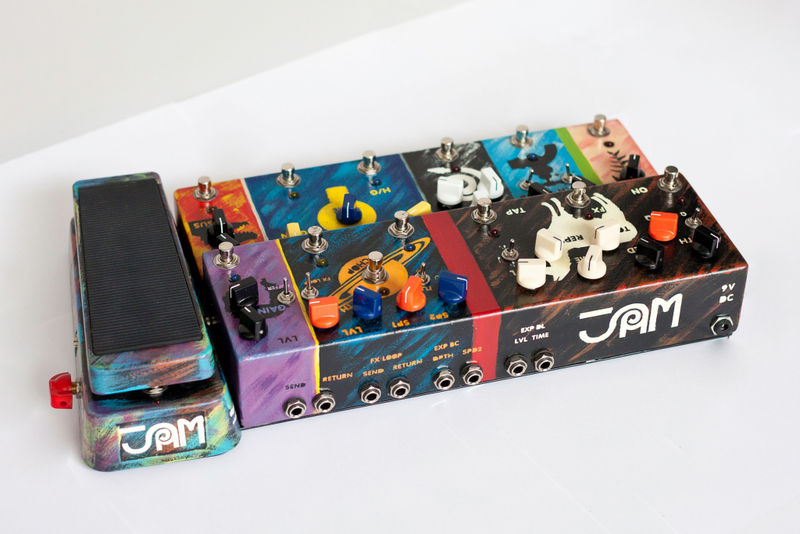 The absence of connecting audio and power cables dramatically reduces setup and breakdown time, and along with the very light and compact enclosure, they make our multi-pedals a dream-come-true for all studio, session, touring and gigging musicians. 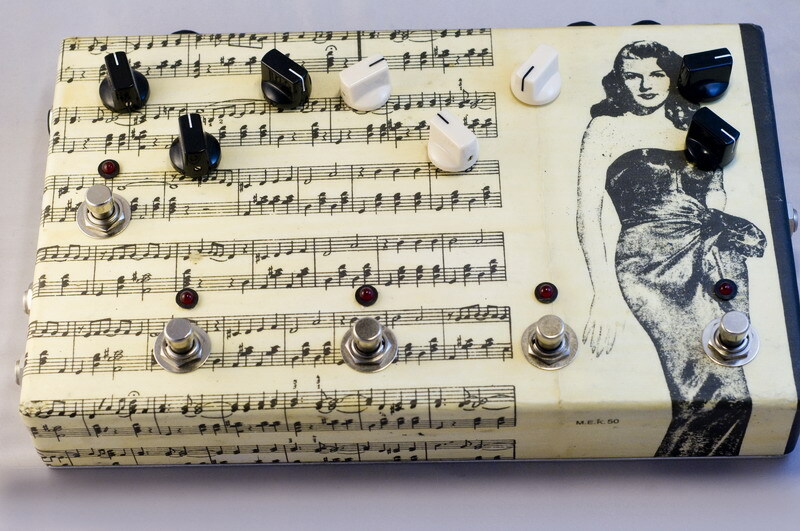 Would you like to have the controls marked on the pedal ? 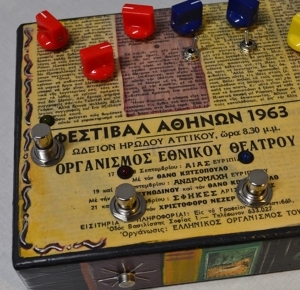 Would you like to have the model names written on the pedal ?